Have you ever wondered why we get married in a white dress? Contrary to popular belief, it’s not to symbolise purity (well, not entirely), but rather the fact that Queen Victoria was quite the fashion icon. A white dress was a sign of opulence and wealth in Western cultures. Before 1840, brides would wear different colour dresses, usually their Sunday best, and Scandinavian brides usually wore black, but in 1840 Queen Victoria made the white wedding dress en vogue and soon after every bride wanted to be donned in white like her favourite royal. Along with the dress came glamorous and extravagant parties. For quite some time now, local brides have chosen wine farms for that rustic yet lavish wedding, inviting everyone from the butcher, the baker and even the craft gin maker! But this type of wedding will cost you an arm and a leg if you haven’t been saving up since birth. 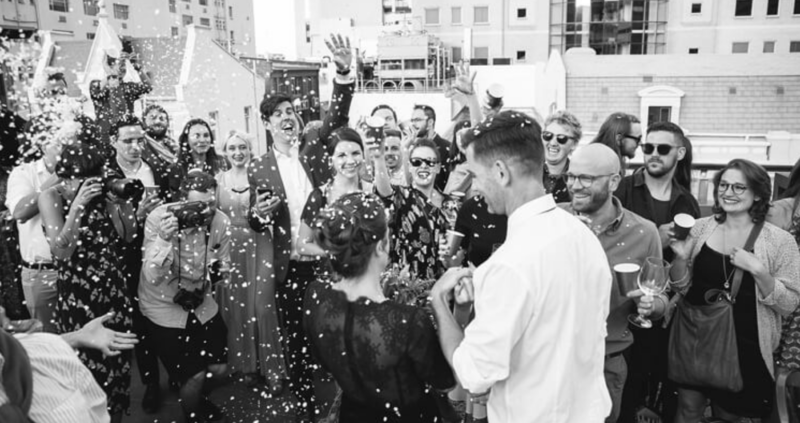 As of late, smaller city weddings have become quite popular among young couples to celebrate their wedding in a lively city at a unique bar or restaurant, with the added bonus of not entirely breaking the bank. Here’s a list of six fabulous inner-city Cape Town venues that will make getting hitched even more memorable. If cuisine is a top priority, then House of H is the place to get your wed on. Describing themselves as a homely environment where the food compliments the décor, House of H offers great city views, a sociable venue and food to write home about. 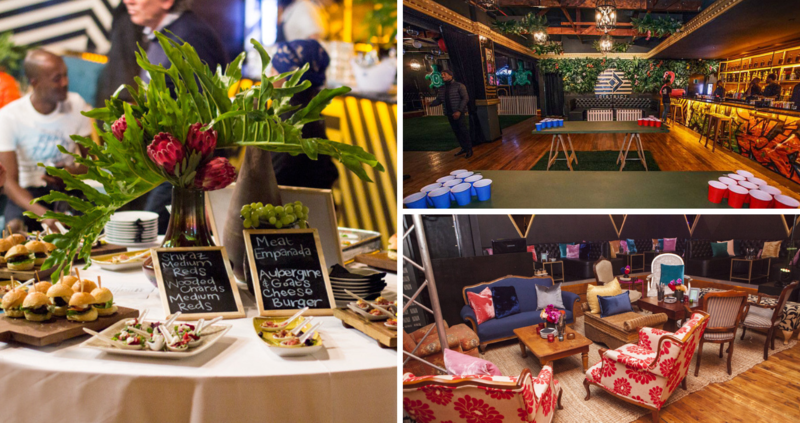 The Grand Daddy Boutique Hotel has become a local favourite on the Cape Town scene and offers more than one space for events at their hotel in Long Street. 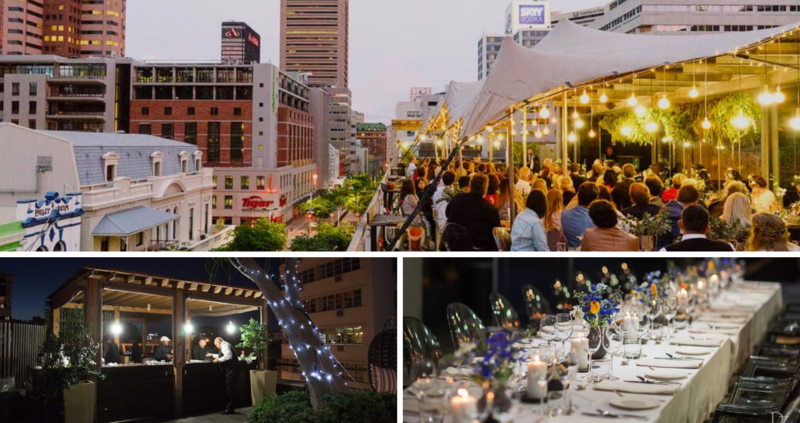 The rooftop bar is the ideal summer venue with stunning city views where guests can take in the vibrant atmosphere of the famous Long Street from above. 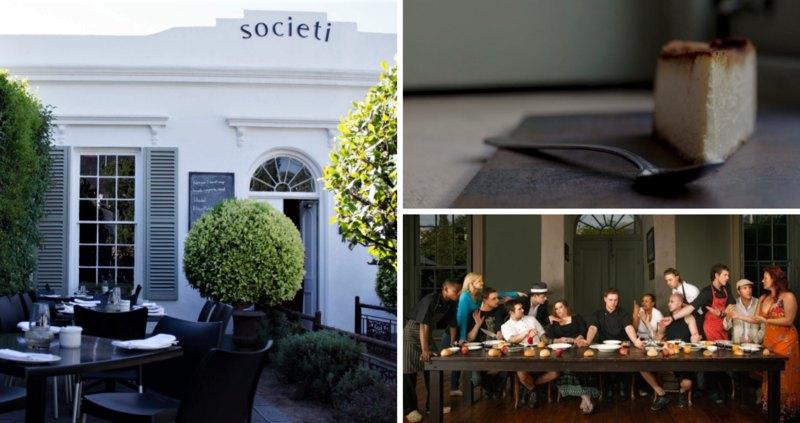 If you’re looking for an intimate, day-time wedding, then the quaint Societi Bistro in Gardens is the ideal spot. 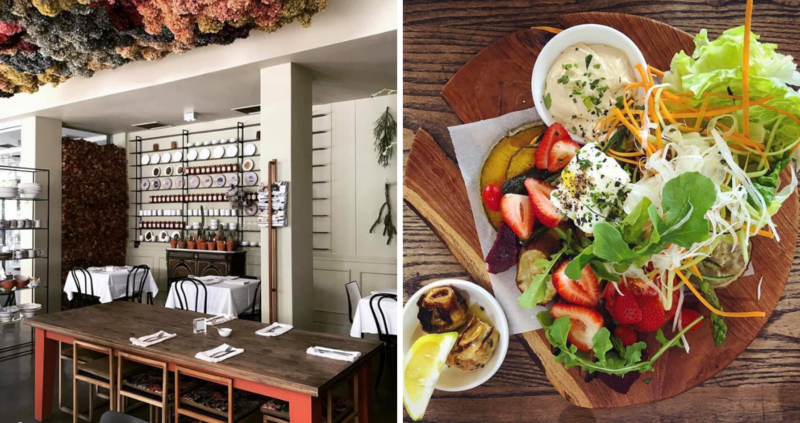 This bistro offers cosy Saturday wedding brunches for couples who aren’t too big on big weddings. District forms part of a variety of venues which you can pick and choose from to suit your wedding-day needs. But don’t let the night-club label fool you. This local haunt offers a spacious banquet area, wooden floors, and of course, plenty of space to dance the night away! 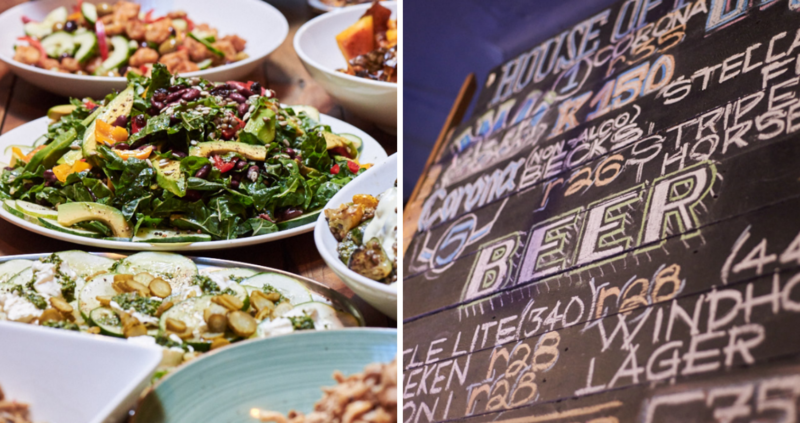 Since 2010, Hemelhuijs has been the go-to brunch place in the Mother City. With its chic décor, sophisticated café flair and iconic flower installation, it’s guaranteed to be a heavenly wedding experience. You’d be forgiven if you thought that Cartel Rooftop Bar is in New York. But this trendy venue lies in the heart of Cape Town’s bustling CBD surrounded by old buildings, skyscrapers and views – the ideal spot to get hitched the metropolitan way. Whether it’s a cosy bistro or a trendy rooftop bar with views that’ll take your breath away, Cape Town has a venue for every type of bride and groom. Getting married in the heart of the Mother City surrounded by her beauty and history is sure to make your wedding one to remember. Contact these fine establishments to find out more about the different options they offer and how they can make tying the knot even more special! Do your guests need a place to stay? 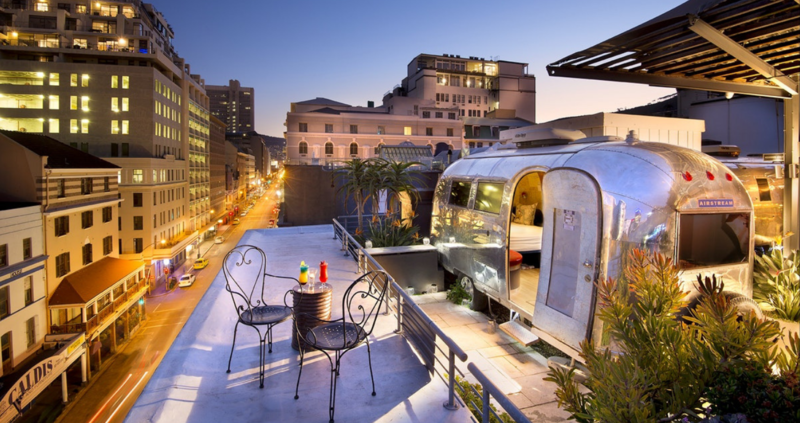 Find the ideal wedding-weekend accommodation in Cape Town’s CBD with TravelGround.